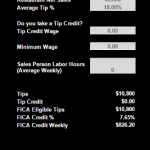 This calculator will give you an estimate of your 45B FICA Tax Credit. 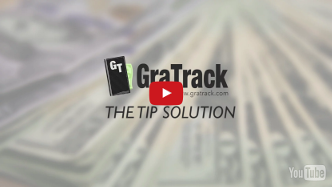 If you’re not accounting for this credit or using service charges vs traditional tipping from the guest, this could be something your business is missing out on. 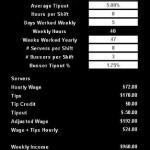 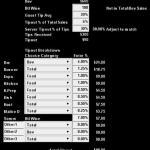 Enter the average weekly sales and the typical tip, If you’re in a tip credit environment enter the wages and an estimate of what your weekly labor hours are for sales positions such as servers, bartenders, cocktail servers, etc… For simplicity we did not include support staff in this calculator.